On arrival, transfer by shuttle bus to the Centrehotel Plaza for 2 nights. This evening is at your leisure. Guests are met at the airport in Akureyri after a 45-minute flight from Reykjavik and driven to Myvatn. 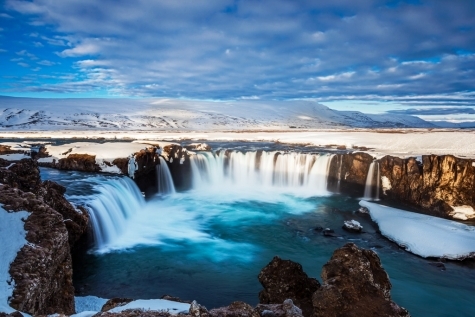 A guided sightseeing tour of the Myvatn area will include places such as the Dimmuborgir (lava fields), Höfði(a community park) and the bubbling mud pools at Hverir. Check in at the Sel-Hotel Myvatn. Head off on an action-packed optional excursion, our favourites are illustrated. Dine at the hotel. If the Northern Lights show, you can turn the street lamps off, intensifying your experience. Today you will visit the Myvatn nature baths. The natural geothermal water relaxes the muscles and warms the body to the core. The rich combinations of natural minerals are sure to revitalize and rejuvenate. In the evening you may want to take a stroll in search of the Northern Lights. Enjoy breakfast at your leisure and the rest of the day is free for your chosen activity. Dine at the hotel. After breakfast, return to Akureyri for the early afternoon flight back to Reykjavik. Self transfer to the Centrehotel Plaza for a final evening in Iceland. Transfer back to Keflavik airport in time for your flight home. The Sel Hotel Myvatn is an ideal base for exploring Lake Myvatn. The 58 rooms have recently refurbished and have great views over the surrounding landscape. The Skútustaðagígar pseudo-craters can be seen from the restaurant, which serves both a lunch and dinner buffet with delicious Icelandic specialties. Attached to the hotel is a northern lights viewing room and should they appear you can always pop outside and turn off the street lights for a more intense experience. 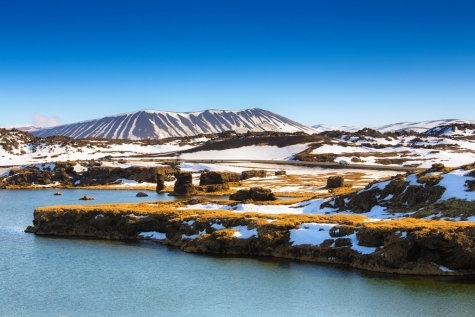 Lake Mývatn belongs to the highland of Iceland and is around 300 m above sea-level. 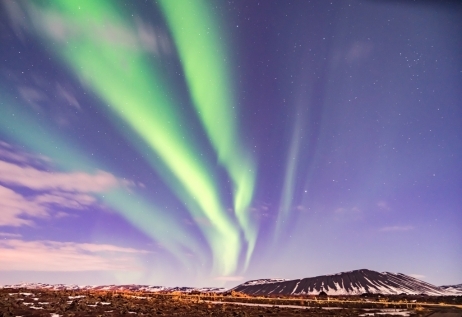 This is why Lake Mývatn is a remarkable place to discover the Northern Lights. Set out by mini bus for an evening adventure in search of the Aurora. Cake and hot chocolate included. Soak in the milky aquamarine waters of this natural geothermal pool. 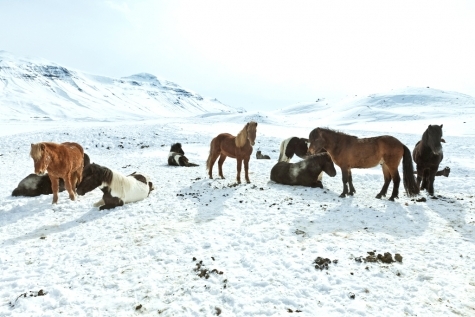 The horseman at Álftagerði takes you on a 1 hour gentle adventure into the beautiful surroundings of Lake Mývatn and through the frozen lakes. Visit the old turf farm and folk museum at Grenjaðarstaður before heading to Húsavik, a small fishing village where you will visit the Whale Museum. 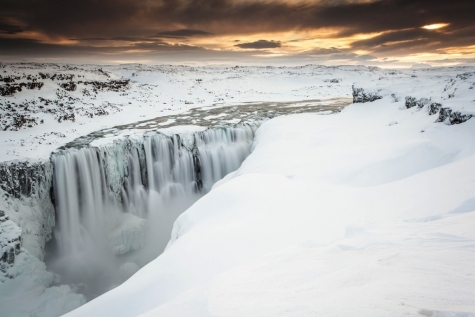 The tour gives you a great view on the Icelandic way of life, past and present. The Lake Myvatn area and the surrounding highlands are great for cross-country skiing. Master the art of cross-country skiing with this 1-hour introductory lesson.